George: I always used to tell him that only fools could possibly escape the simple truth that now isn't simply now: it's a cold reminder. One day later than yesterday, one year later than last year, and that sooner or later it will come. 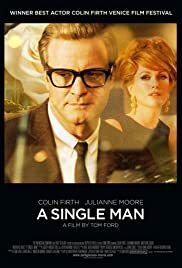 Q: Is "A Single Man" based on a book? Of all the films I saw at the 66 Venice Film Festival, 12 in all, "A Single Man" is the one that stayed with me. I must admit, it wasn't love at first sight. My first reaction was a sort of rebellion against, what I felt was "far too beautiful" and slightly cold. But now, days after, the mood and guts of the film come back to my mind as if asking me to see it again. I will, as soon as possible. Behind the apparent stillness of the film there is a torrent of emotions and Colin Firth is at the very center of it. A day of grieving for a man who lived his life within a perfectly color coordinated world, coordinated in every sense of the word until death comes unexpectedly to turn everything upside down. I couldn't help but remember another Firth creation "Apartment Zero" (1988) where the color coordination of that character was gray, zero and the hinting of color coming into his life turned his world upside down. 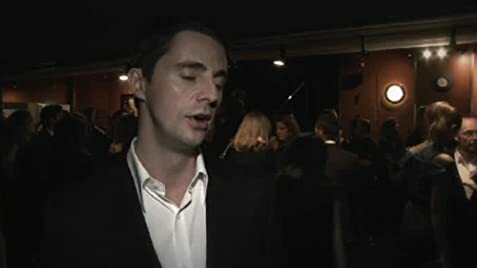 I loved and adored that performance and "A Single Man" reminds me, not so much for its similarities but for its differences. It's actually forcing me to go out and search all of Colin Firth's work I've missed. I also believe that Tom Ford, a living fashion icon, is here to stay as a filmmaker. 211 of 241 people found this review helpful. Was this review helpful to you?